Ashton Kutcher & Mila Kunis Play Ping Pong for a Good Cause! 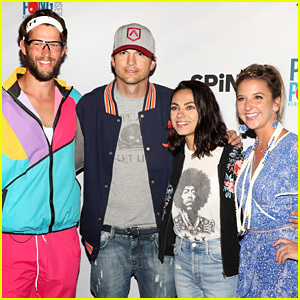 Ashton Kutcher and Mila Kunis pose for a photo with baseball player Clayton Kershaw and his wife Ellen at the 2018 PingPong4Purpose event at Dodger Stadium on Thursday (August 23) in Los Angeles. Some other big stars in attendance for the annual event were Matthew McConaughey and Josh Duhamel. Kershaw’s Challenge seeks to serve vulnerable and at-risk children living in Los Angeles, Dallas, Zambia and the Dominican Republic. PingPong4Purpose is an annual celebrity ping pong tournament held on the field at Dodger Stadium where celebs and athletes compete in a high-energy ping pong tournament, culminating in a wild championship game. FYI: Mila is wearing a Johnny Was floral bomber and Lauren Moshi tank. Justin Theroux & Jason Bateman Hold Hands at Charity Ping Pong Tournament! 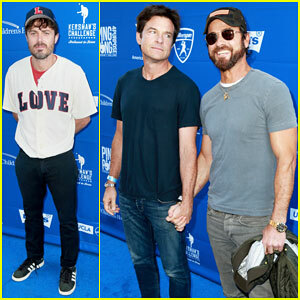 Jason Bateman hilariously gazes at his bestie Justin Theroux as they hold hands on the blue carpet at Clayton Kershaw’s Ping Pong 4 Purpose Celebrity Tournament held on Thursday evening (July 27) at Dodgers Stadium in Los Angeles. 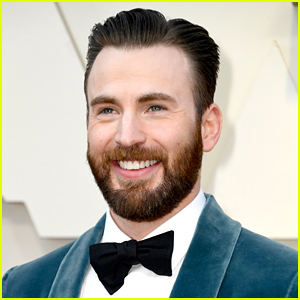 The 48-year-old actor and the 45-year-old Leftovers star were joined by Casey Affleck, Jack Black, The Bachelor‘s Nick Viall and Vanessa Grimaldi, Haley Joel Osment, Eric Christian Olsen, Magic Johnson, Isaiah Mustafa, and Clayton Kershaw himself who was accompanied by his wife Ellen. Jimmy Kimmel and his wife Molly McNearney were also in attendance with their 3-year-old daughter Jane at the benefit raising money for children in third-world countries around the world. Earlier in the week, Justin and his wife Jennifer Aniston supported Jason at his Hollywood Walk of Fame ceremony. Will Ferrell and Susan Sarandon walk the carpet while attending the Clayton Kershaw Ping Pong 4 Purpose Celebrity Tournament on Thursday (August 11) in Los Angeles. 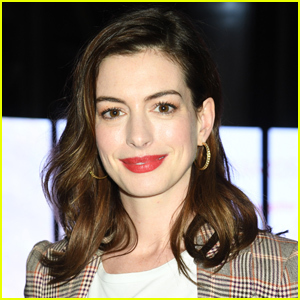 Other celebs who were in attendance at the event included Derek Hough, Justin Hartley, Mario Lopez and his family, Diplo, and Keltie Knight. Clayton is a player for the Los Angeles Dodgers and the event was held at Dodgers Stadium. 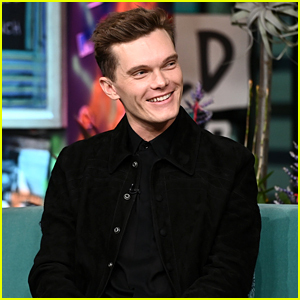 During the event, Will roasted him while he stood on stage. 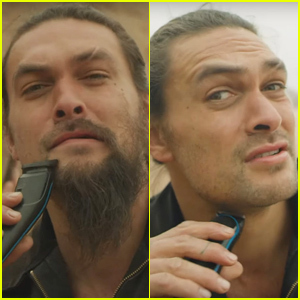 Watch below via TMZ!